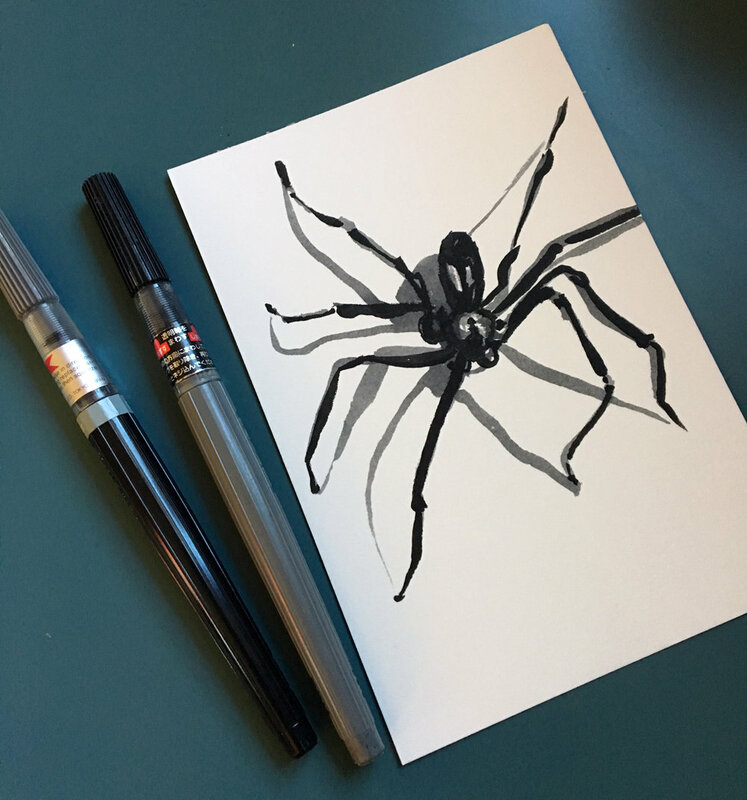 Inktober 2018 is here! This is every traditional artist's favorite holiday. 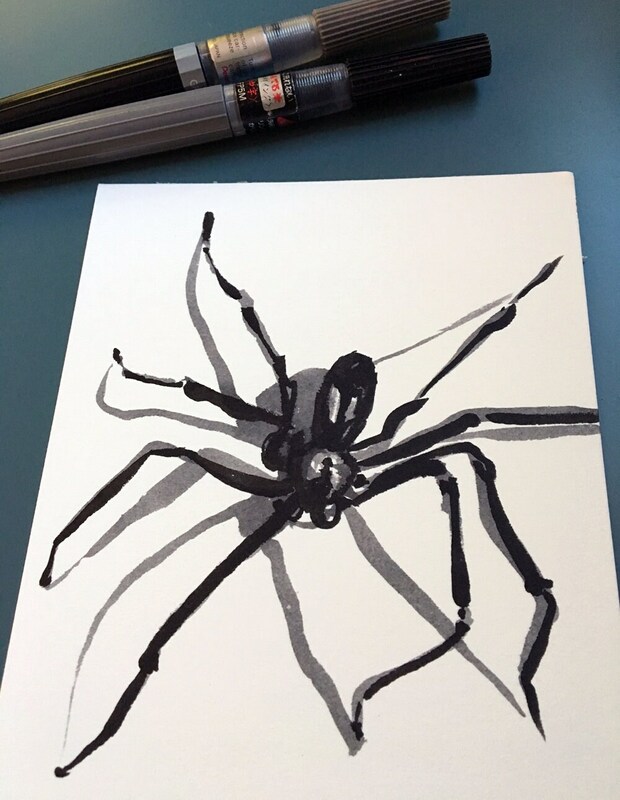 An ink drawing every day of the month with predetermined prompts is cause for celebration. 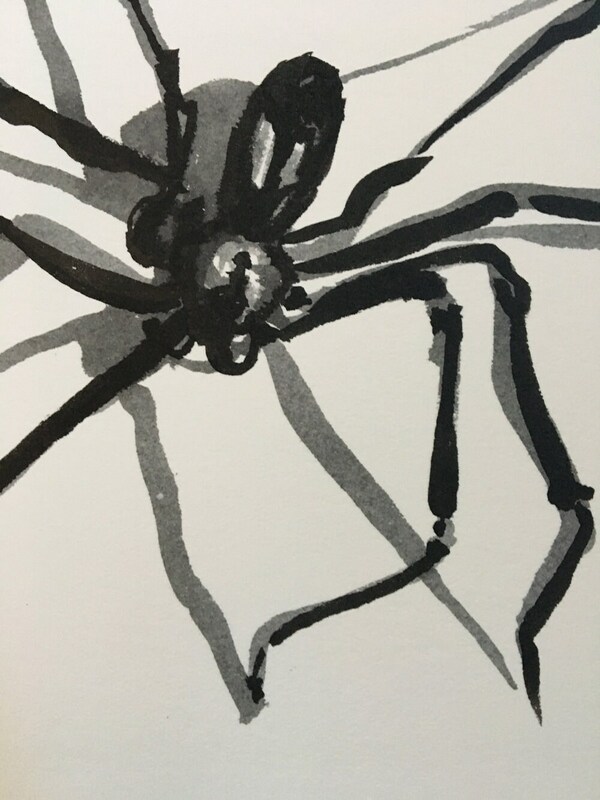 The brown recluse spider is my first inktober drawing this October. The prompt was "poisonous." 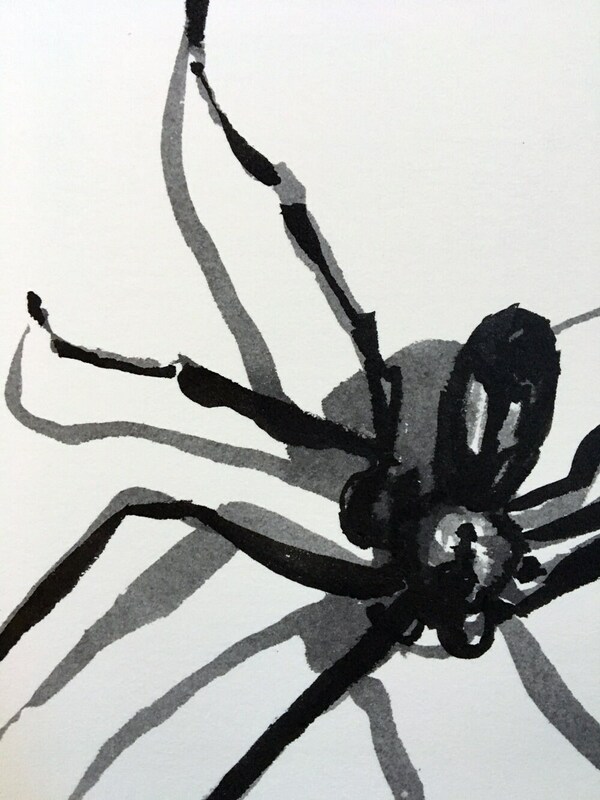 Not much I encounter that is more poisonous than the brown recluse. 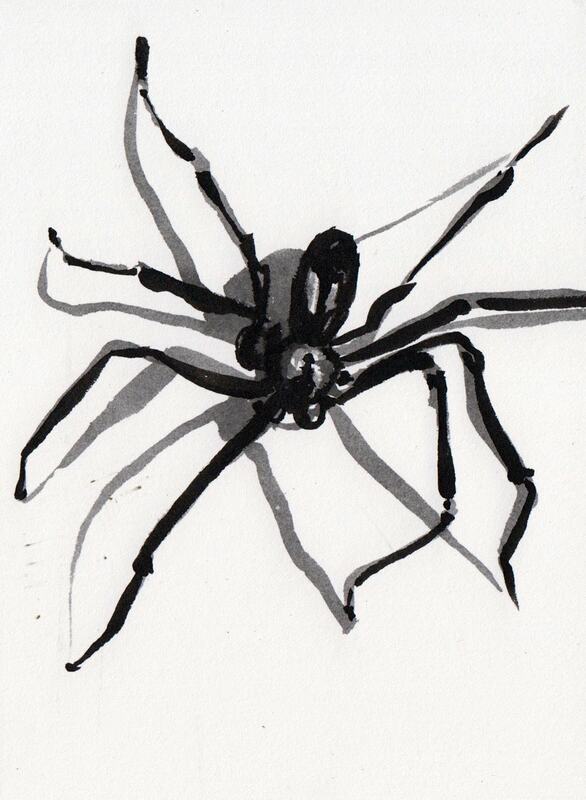 This ink drawing is entitled "Brown Recluse." It is grey and black ink on paper. It measures 5" x 7" (12.7cm x 17.8cm).